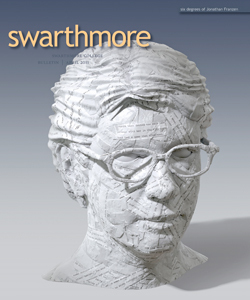 Before the National Book Award, before Oprah, before the Time cover—before anything really, really big happened—Jonathan Franzen ’81 taught fiction writing at Swarthmore. His students remember it well. I had just landed in Berlin. Nearly a decade earlier, his third novel, The Corrections, had received an equally warm reception from the critics and the public. And Franzen’s past decade as a famous literary writer makes it easy to overlook the fact that for most of his writing life he had toiled in relative obscurity. Chenoweth published her well-received first novel Hello Goodbye in 2009. And she’s not the only fiction writer to emerge from the Franzen workshops. Adam Haslett’s [’92] short-story collection You Are Not a Stranger Here (2002) was a Pulitzer Prize finalist, and Esquire heralded his debut novel Union Atlantic (2010) as “the first great novel of the new century that takes the new century as its subject.” And Christopher Castellani ’94 is currently working on his third novel, following award winners A Kiss from Maddalena (2003) and The Saint of Lost Things (2005). 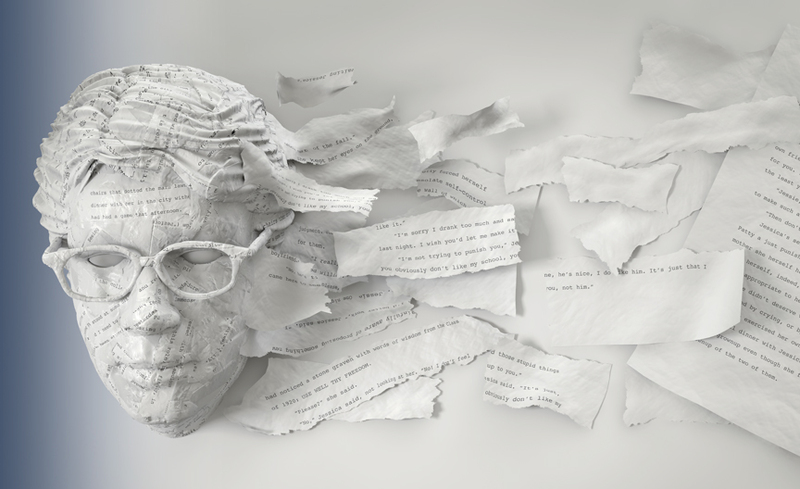 Before 1992, Franzen hadn’t taught fiction writing, and he’d barely studied it formally. The workshop’s structure was traditional. Students turned in pages each week and took turns presenting every month or so. Castellani presented the 1992 class’s first story—“already, he was an unbelievably polished, beautiful writer,” Franzen recalls. On that first day of class, Franzen wrote two words on the blackboard: “truth” and “beauty,” and told his students that these were the goals of fiction. Franzen invited David Foster Wallace to be the guest judge of the 1992 workshop, and Haslett’s story “1952” was declared the winner. Paula Fox judged the 1994 competition, won by Wendy Waesche Cholbi ’94, who is now a Web designer. “Her story wasn’t flashy in terms of prose, but I remember reading it with shivers and tears,” Franzen says. Outside of class, Franzen was generous with his time. “Jonathan was a very generous responder,” says Jeff Severs, an English literature professor at the University of British Columbia. “We each handed in pages every week, and he responded with lots of questions and comments. I remember his red-ink check marks. He’d draw a 3-D check mark for really good stuff.” Franzen’s office hours were also very popular. But Franzen stayed in touch with his former students, helping them out when he could. “He wrote a recommendation for me when I applied for an M.F.A.,” Severs says. At Castellani’s first public reading, Franzen introduced him. Chenoweth recalls bumping into Franzen at parties in New York during her time as an M.F.A. student at Columbia; Horn once house-sat for Franzen’s plants. And Haslett has become a close friend. His students recall his advice slightly differently. Franzen was never explicitly discouraging, says Lawton-Trask. “He was the first person who talked to me about my work as work, not practice—he presumed I wanted to write as well as published authors and talked to me as if I could.” But he never sugarcoated the struggles of a writing life, either. On the last day of class, Lawton-Trask recalls, he brought in a box of mementos, including a quarterly statement showing a very small amount from his publisher and a hardback copy of his second novel that he’d found in a remainder bin. Paul Wachter writes in New York.